This is a class CC7200 diesel locomotive. They were built by Alsthom and SACM in 92 copies between 1967 and 1974. 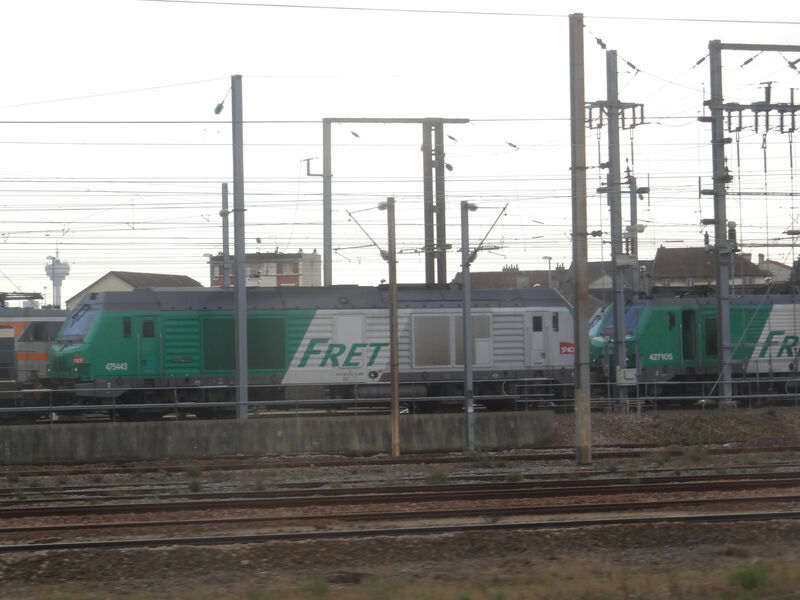 They have been used in cargo traffic but also - like here - in Corail passenger train traffic south of Paris. It has a power rating of only 2250 kW and depending on the series a top speed of either 140 or 160 km/h. Picture from Paris Gare d l´Est 27.1.2008 by Sanna Siissalo. 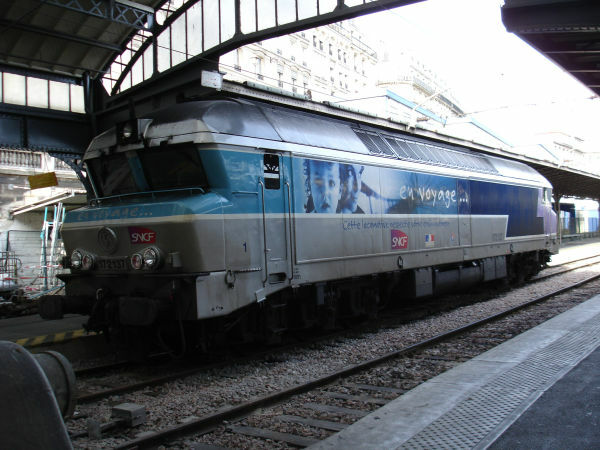 This is a class BB 475000 series (also known as SNCF BB 75000 series) diesel locomotive. It looks almost identical to an Alstom Prima electric locomotive, just that it has no pantographs on the roof. This model was co-developed by Siemens of Germany and Alstom of France. The electrical components are similar to what is used in the Siemens EuroRunner/Hercules locomotives of for example the Austrian class Br2016 and the bogies and much of the outer looks are similar to Alstom's Prima locomotives. The machine has a top speed of 120 km/h, a power rating of 2000 kW and is powered by an MTU diesel engine. Picture from close to the Aulnay sous Bois station from a moving train - sorry for the poor quality - 4.3.2014 by Ilkka Siissalo.